(Bali, July 2018) – A luxury All Inclusive resort that is located atop of stunning location in Nusa Dua, Samabe Bali Suites & Villas today announced that it has received a TripAdvisor Certificate of Excellence. Now in its eight year, the achievement celebrates businesses that have earned great traveler reviews on TripAdvisor over the past year. Certificate of Excellence recipients include accommodations, restaurants and attractions located all over the world that have continually delivered a quality customer experience. “It has been the 4th year since we received the TripAdvisor Certificate of Excellence. Although just 5 years in the hospitality industry, but I am proud to say that Samabe Bali Suites & Villas has successfully grab the market and put our luxury brand into high-standards. It clearly can be seen that since year two, we are honored with this recognition” Said Ralf Luthe, General Manager Samabe Bali Suites & Villas. 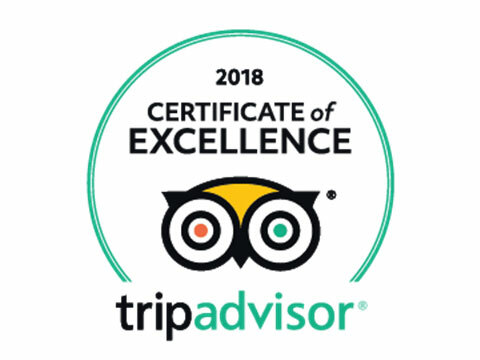 The Certificate of Excellence accounts for the quality, quantity, and regency of reviews submitted by travelers on TripAdvisor over a 12-month period. To qualify, a business must maintain an overall TripAdvisor bubble rating of at least four out of five, have a minimum number of reviews and must have been listed on TripAdvisor for at least 12 months.